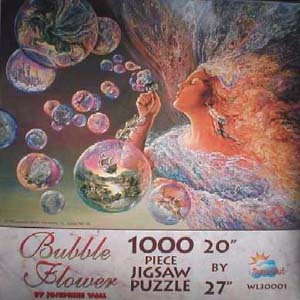 Bubble Flower 1,000-piece jigsaw puzzle. Picture by Josephine Wall. Puzzle is 20" x 27" when finished.